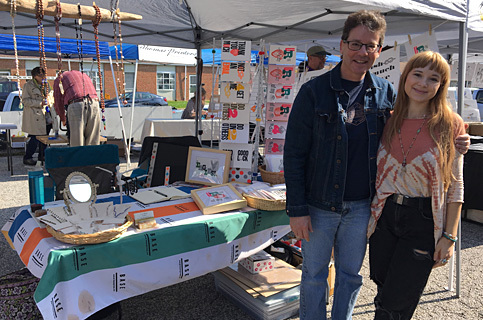 It was a beautiful Spring day in late April at the (annual, we hope) 2018 Chesapeake Printers Fair. It was only my second time working a fair of any kind, and this ended up being a wonderful time. I was assisted by my lovely daughter, Rosy (thanks hon! ), as she sold some of her beautiful jewelry. We saw some familiar faces, and made some new friends. The Fair was hosted by the great “Glyph Guys,” Joe and Don, and we certainly hope to return next year. Thanks guys!